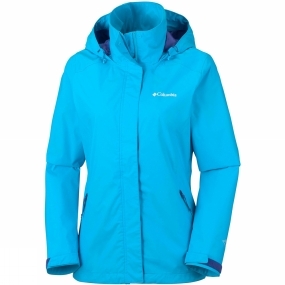 In wet conditions this waterproof, breathable and seam sealed Columbia Womens Trestle Trail Hooded Jacket Plus has got your back. It's easy to take on a trail as it's packable into a hand pocket. The attached adjustable storm hood conveniently stows away when not in use. Featuring adjustable cuffs, drawcord adjustable hem and zipped hand pockets.